"Magic, dreamy, and romantic" describes one on looker of Heather Shirin's inspiring portraits. 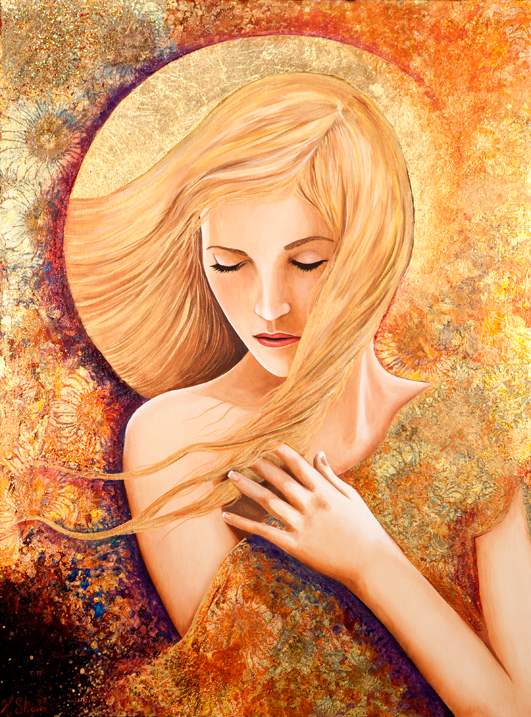 Shirin creates Art Nouveau portraits of women using mixed media and gold leaf. Her work has a wonderful vintage feel, incorporating luminous materials and fine art papers, making these mixed media pieces simply stunning. Described as "luminous, intimate, and emotive", Heather Shirin’s mixed media portraits are reminiscent of Gustav Klimt and Alphonse Mucha. “As if those two were to collaborate,” Heather adds. In Italian, “dolce far niente” means “pleasant idleness” and these female portraits emit contagiously calm vibes writes The Laurel of Asheville. The two series "Playing Love" and "Dolce Far Niente" are portraits of Art Noveau Women. The 'Playing Love' series focuses on capturing the beauty of Art Nouveau, and the 'Dolce Far Niente', on the 'Art of doing nothing'...simply relaxing and being still. 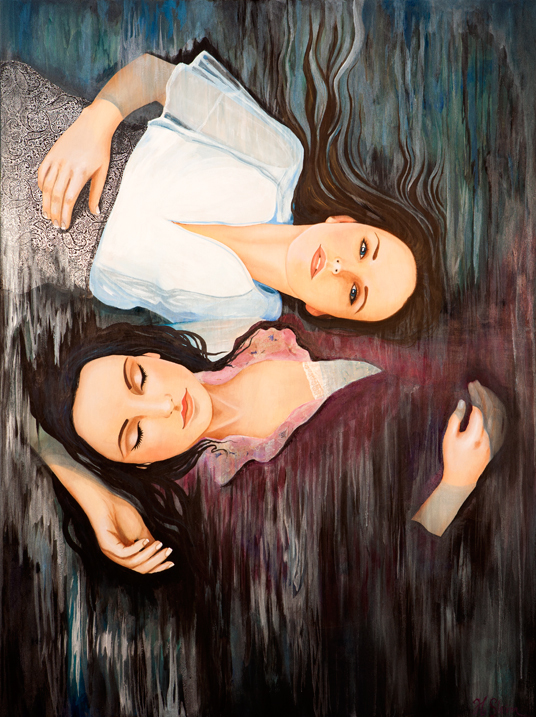 Her series "The Unwritten Lyrics" focuses on reaching deeper into abstracting the women into the backgrounds within her art nouveau portraits. 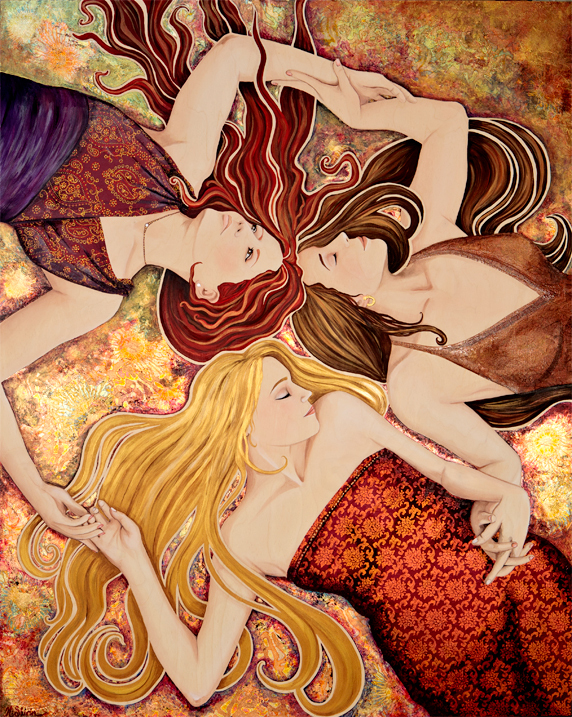 Heather Shirin uses fine art papers, various metal leaf, metallic paint and other mixed media to create beautiful layers for the hair, clothing and design elements within the backgrounds. Please contact Heather for more information or to visit her studio in Mills River, NC.